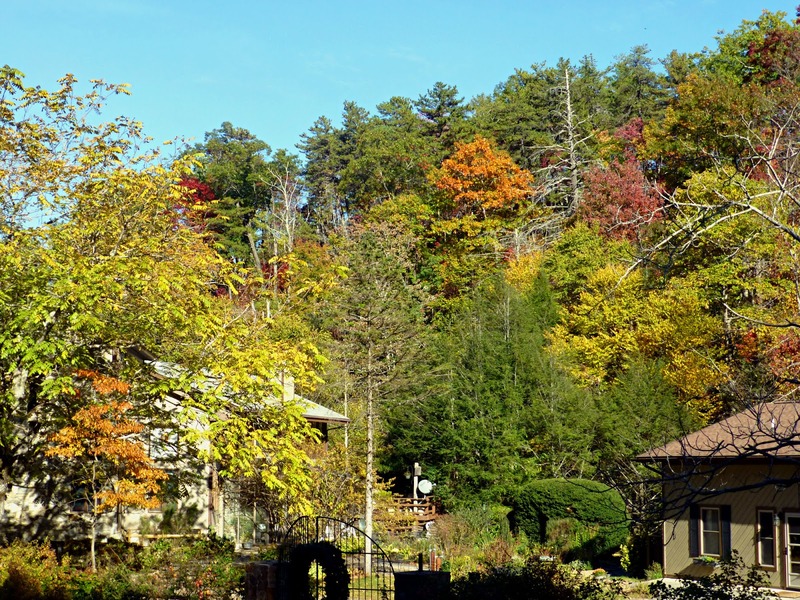 Color is beginning its swift migration down to elevations below 3,000 feet and we are on our way to peak time around Asheville and Black Mountain, NC, which typically arrives between October 21 and October 31. A few rather chilly nights have appeared to speed thing up, as maple trees start to shine and oaks begin to turn. Above 3,000 feet, you can still capture color as vibrant hues start fading into more muted tones. 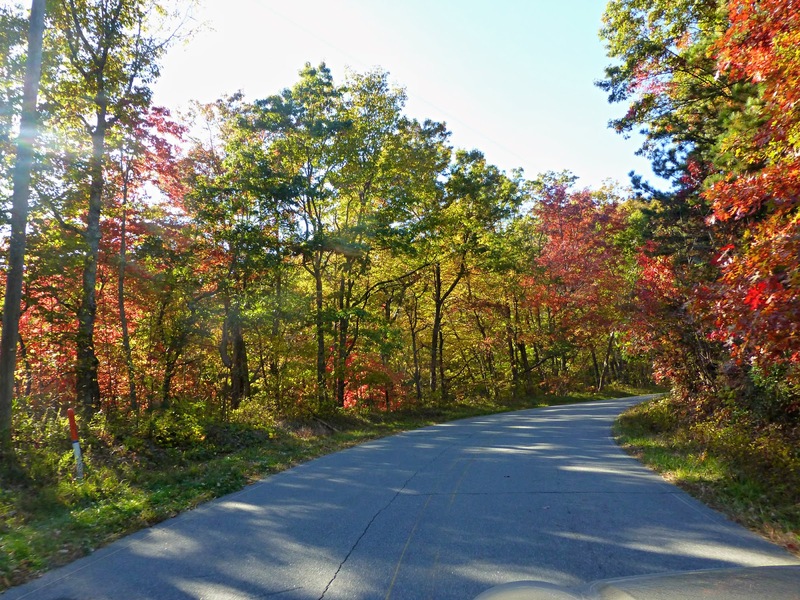 Although higher elevations are starting to go past peak, we’re impressed by how long color is staying on a lot of the trees this year along the Blue Ridge Parkway. Rattlesnake Lodge off the Blue Ridge Parkway: This is a great fall color hike along the Mountains-to-Sea Trail, about six miles northeast of Asheville on the Blue Ridge Parkway. Rattlesnake Lodge has a great history as well. Read more about this hike via a recent blog post of ours. 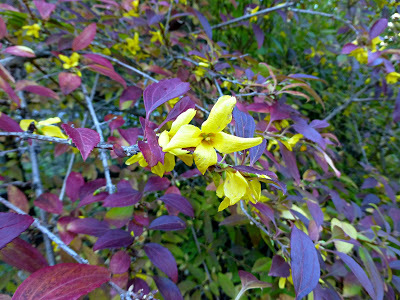 North Carolina Arboretum in Asheville: Located southwest of Asheville, accessible via Highway 191/Brevard Road or the Blue Ridge Parkway at Milepost 393 is one of our favorite places — the North Carolina Arboretum. With garden spaces on more than 430 acres and 10 miles of trails, the Arboretum is a fantastic place to get your nature fix. 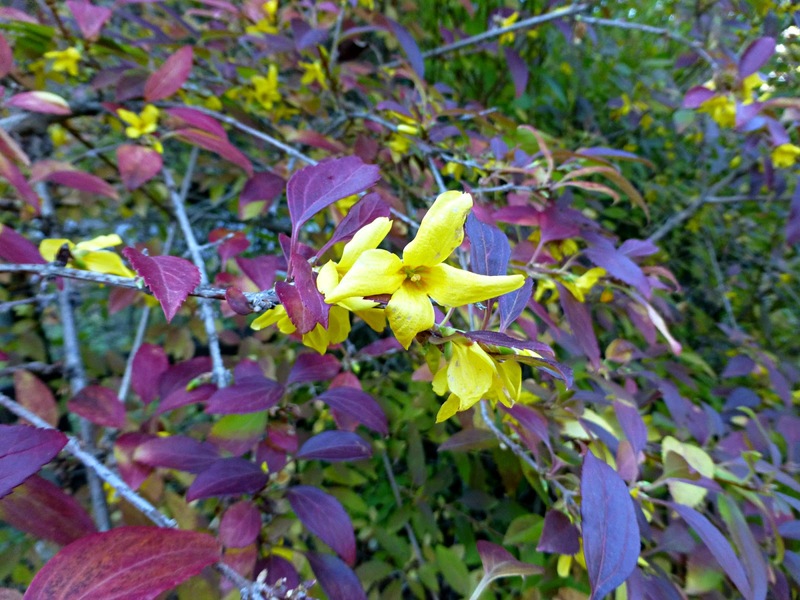 Plus, they have a beautiful bonsai garden and many of the bonsai trees change color as well. Definitely worth the price of admission. More info available at www.ncarboretum.org. 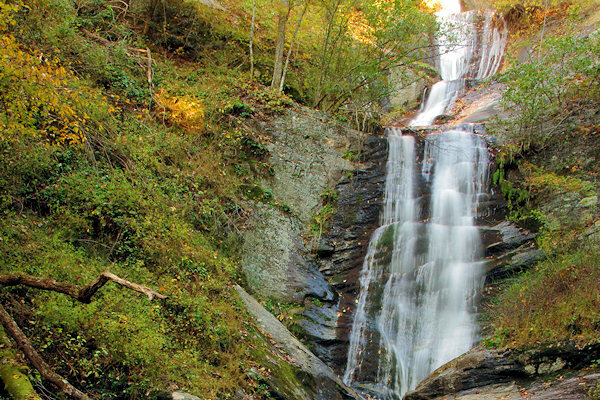 Toms Creek Falls in Marion: Need an easy waterfall hike? 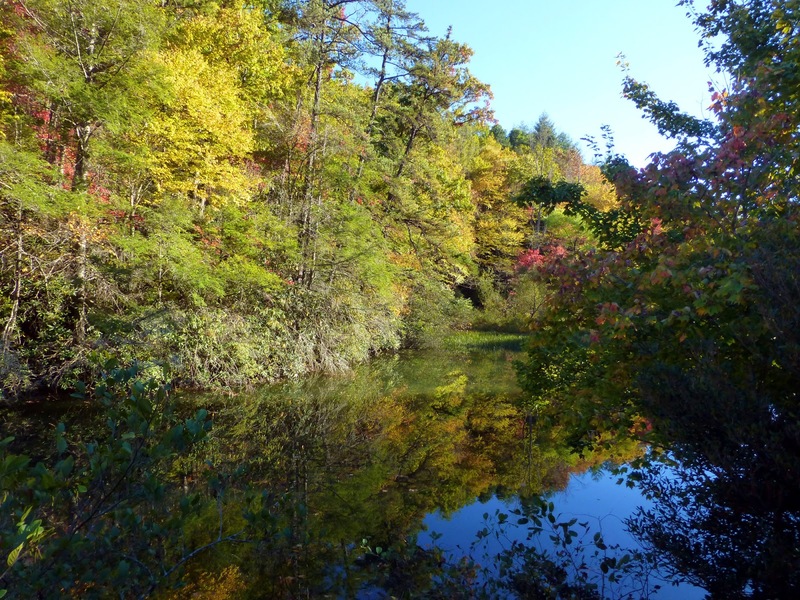 This one fits the bill and takes you on a trail through what we think is one of the prettiest areas east of the Inn on Mill Creek B&B. 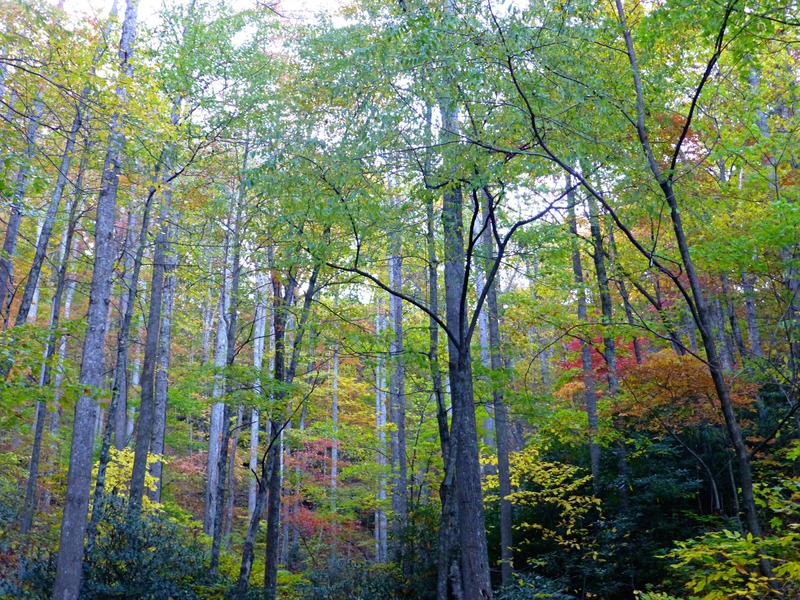 It’s located north of Marion off of Highway 221, south of the Blue Ridge Parkway. We blogged about this waterfall hike last year. 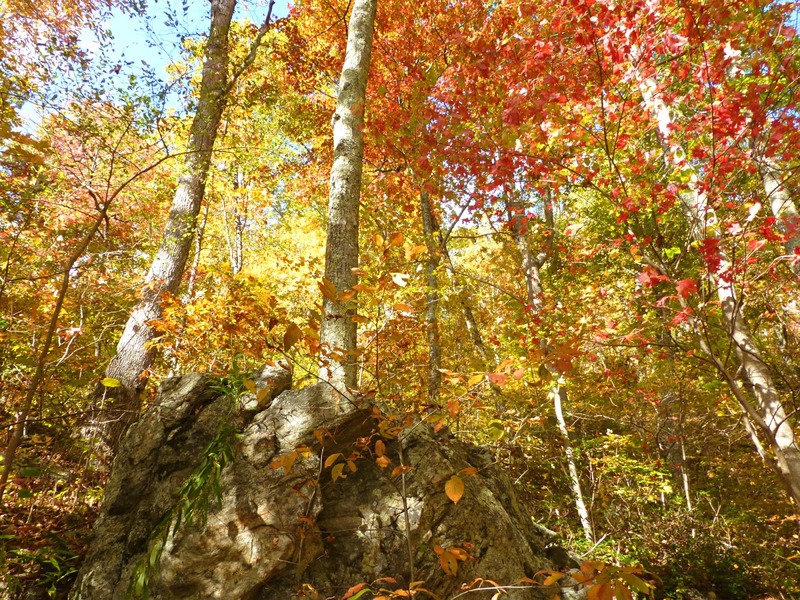 US Route 276 between Asheville and Brevard: In search of a scenic fall drive? 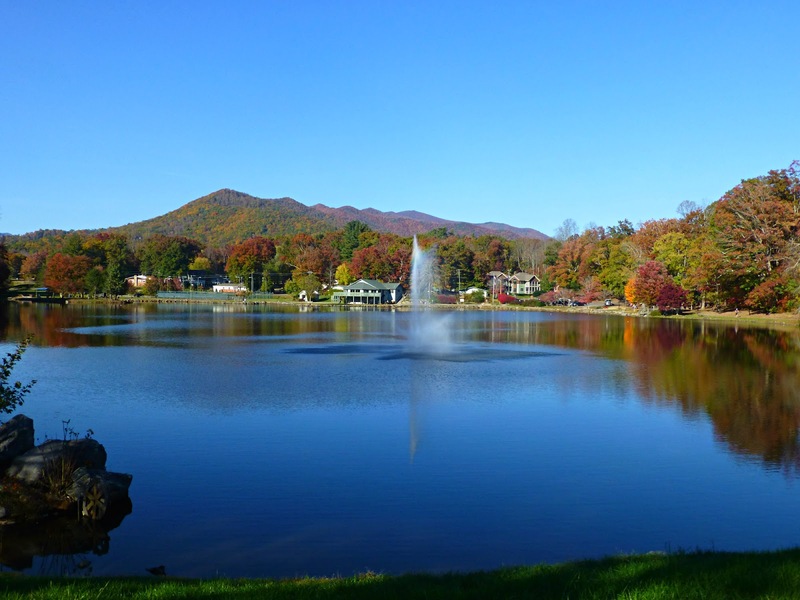 Take the Blue Ridge Parkway south from Asheville to Milepost 412 and turn left for a beautiful 18-mile drive on US Route 276 to Brevard. Along with fabulous fall foliage this time of year, US 276 offers quite a bit to see, including the Cradle of Forestry and Looking Glass Falls. And once you’re past Brevard, you can head to Dupont State Forest for even more excellent waterfall hiking. 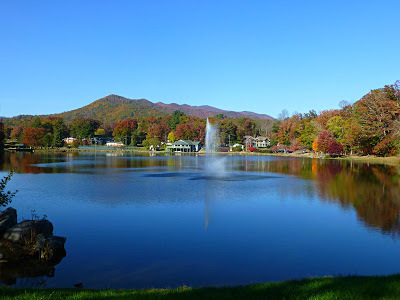 Our friends at RomanticAsheville.com have a great write-up on DuPont State Forest. Finally, for your viewing pleasure, here are some photos taken over the past few days around the Inn on Mill Creek and our “neighborhood”– nearby Black Mountain, NC. See you next week as we head into the peak! This entry was posted in Fall Color Reports and tagged Asheville, Black Mountain, fall foliage, hiking, NC Arboretum, outdoors, scenic drives, waterfalls by Inn on Mill Creek. Bookmark the permalink.